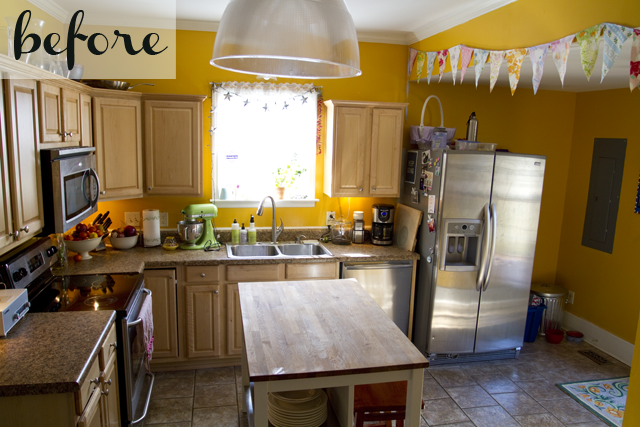 Black and White and Loved All Over: My Minty Kitchen Remodel! 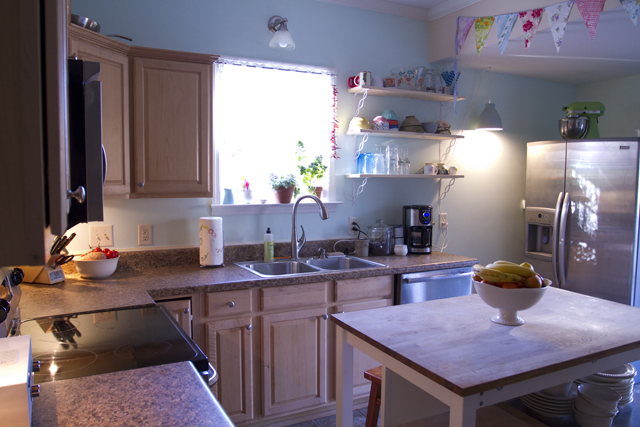 I also removed the cabinet that was to the right of the sink, and we put up open shelves (that still need to be painted white). We didn't actually lose any storage because we moved the cabinet into our laundry room, which is just off the kitchen. I had aspired to paint our kitchen cabinets white, but now that the room is a different a color they don't bother me anymore. So this has at least been moved way down on my project list. I cleaned up our chalkboard wall, too. Previously this whole wall was a chalkboard, but since we obviously don't use the very top, I used tape and framed it out in mint. 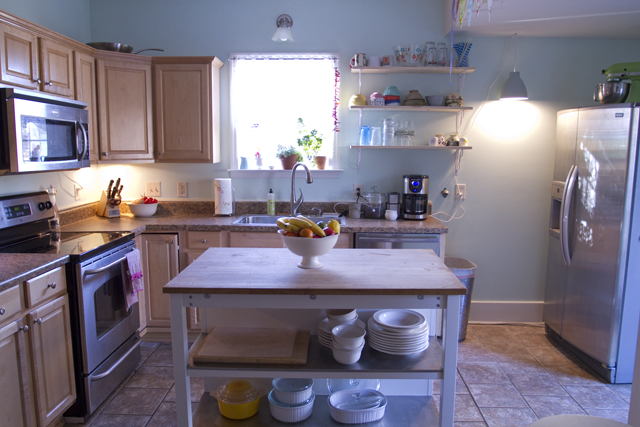 Another change we made was to move the refrigerator, making better use of the space we have. 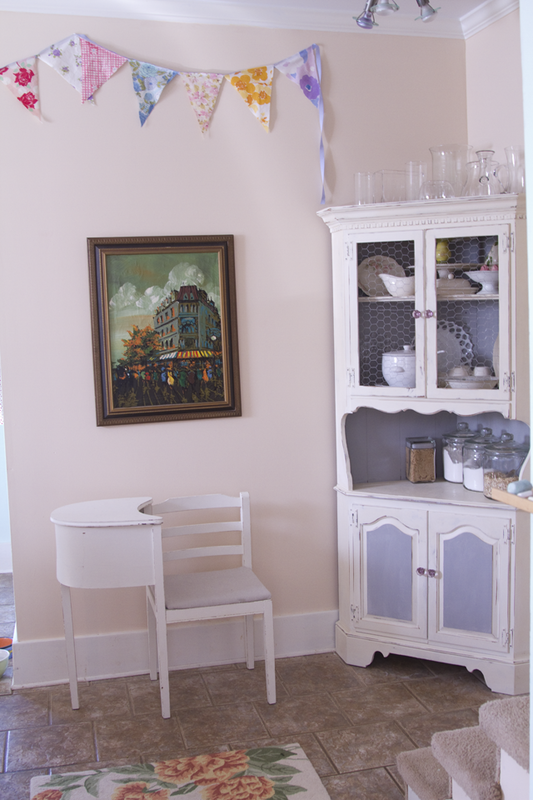 I also painted one wall the same creamy blushy color that's coming down our staircase, creating a cute little nook. And, again, paint has made such an enormous difference with minimal money. I spent about $60 on two gallons of paint (Benjamin Moore's "Cool Mint" and Behr's "Porcelain Skin") and about $30 in materials to build the shelves. 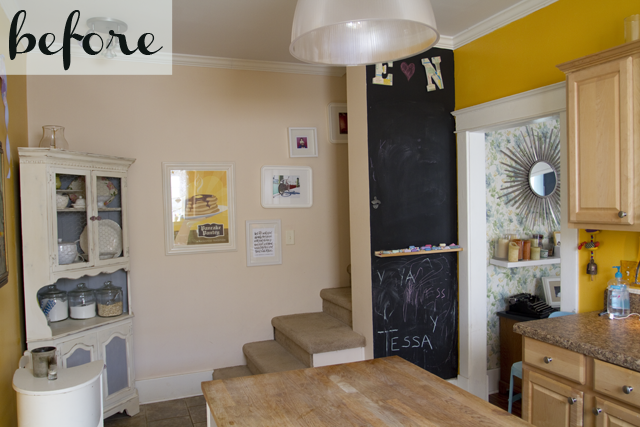 Really, we've been working on updating this kitchen for a while now, considering that I painted this corner hutch with Annie Sloan chalkboard paint this past summer, and we added the kitchen island this past March after a trip to Ikea. 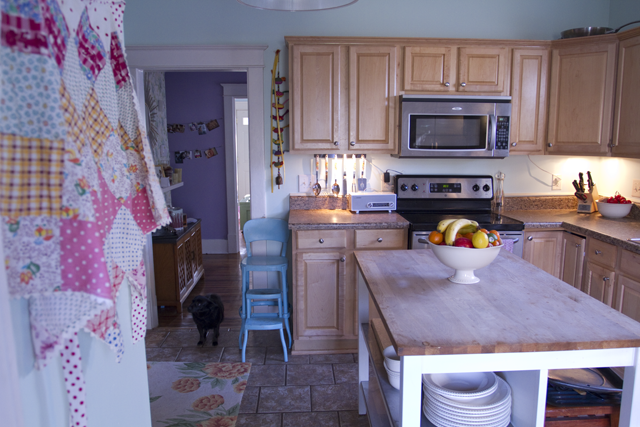 Our kitchen is definitely the heart of this home; I'm writing this blog post at the kitchen island right now. We eat breakfast here every morning, and I usually eat lunch here, too. Friends tend to gather here during dinner parties. It's bright and sunny, and now it's more cheerful than ever. This space is totally me. Since Nekos is the cook in the family, I'm happy that he is obsessed with it, too. 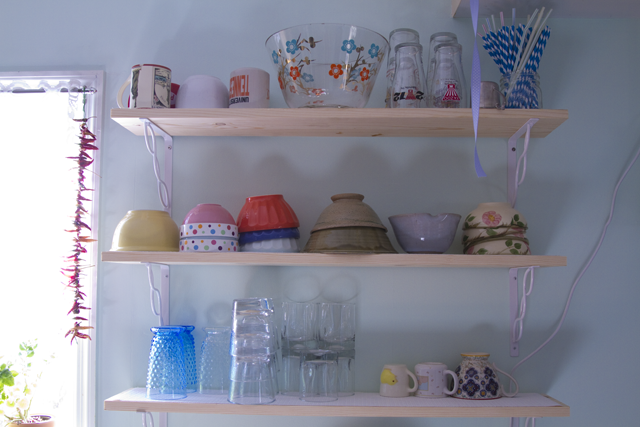 We keep walking into our "new" kitchen and saying, "Oh! Whose kitchen is this? Ours? Rad!" wowee! 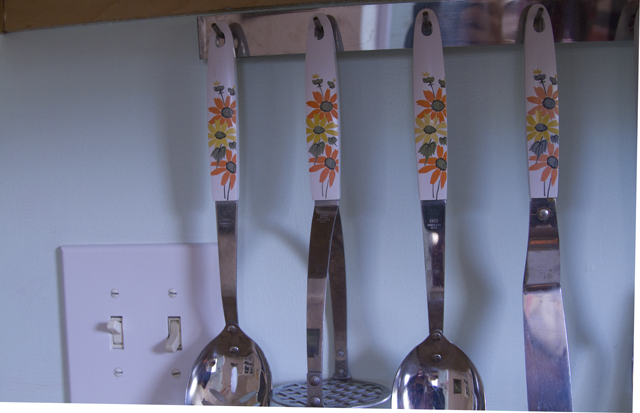 love the mint (in your house - how funny that i just repainted our mint kitchen!). and i love the little nook. such a pretty accent color. SO cute! Love it, love it. looks great!! and i can't believe you did that with a newborn and a toddler. hello supermom. I love it! Seriously, it looks great. 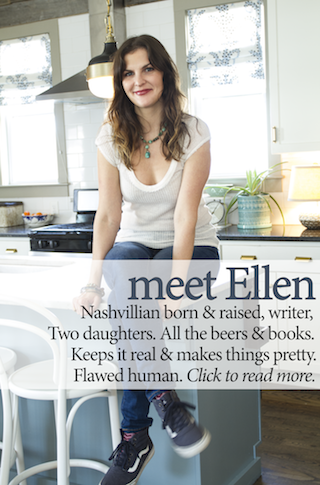 I couldn't comment on your latest post for some reason but I just wanted to say, you're a really beautiful writer. I love your blog and when the time is right your career will be waiting, it always is when you are talented. Love this. I am emailing the link to the guy who is building my kitchen–I love the detail over the sink. I have been trying to describe this to him. You didn't change a lot, am I right? Although I love your new kitchen now, it seems like I preferred your old shade. 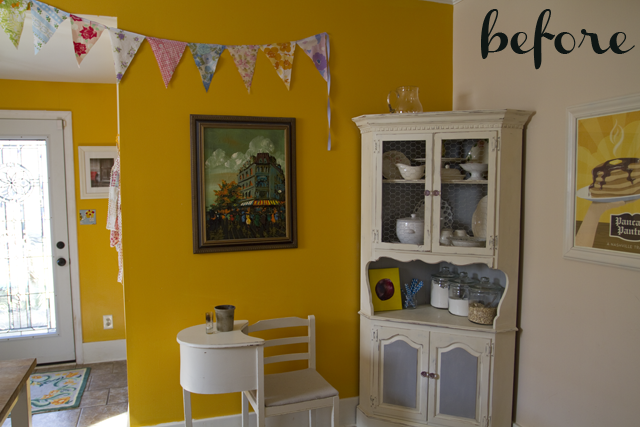 Maybe you just need a lighter shade of yellow, the one you had before was so bright that it was a bit overwhelming. Still, your new kitchen is still a darling! Nice job on the remodel. Functional and nice looking. I like the chalk board for the kids. Great Job!! I really appreciate your work.After remodeling your kitchen is looking very nice.Thanks for sharing. Modernize your home by fitting solid wood kitchen worktops and let your neighbors feel envy of your fully redesigned home and kitchen interiors. Wow the remodel was beautiful. You did an awesome job. Thank you for sharing it with us. Thank you very much for the professional Kitchen Renovation, I had the best design for my little kitchen the Tango's designer did a fantastic jon.We love our custom kitchem, it looks awesome. Its an incredible joy perusing your post.Its brimming with data I am searching for and I Click the Following Page want to post a remark that "The substance of your post is marvelous" Great work. Why go elsewhere when you have such a wonderful blog directly before you.